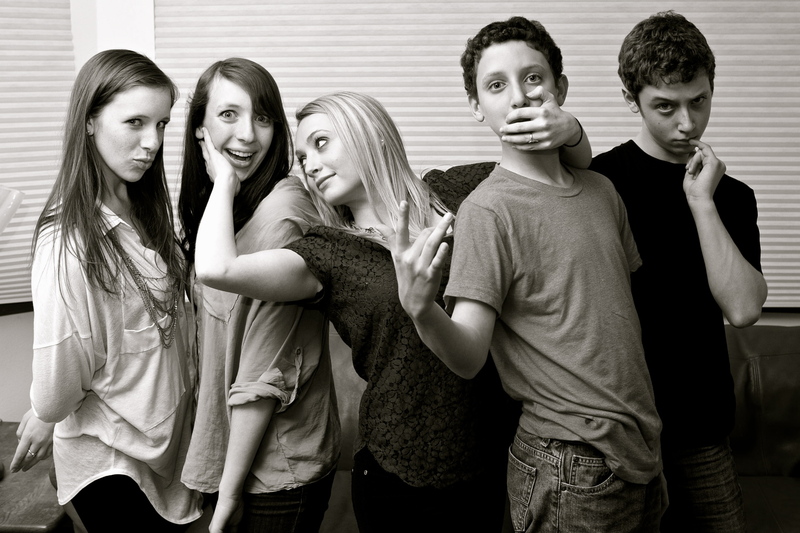 My mom asked me when I was home over spring break if I would post again soon on my blog. She said, “What, you don’t have anything important to say since now you’re back in America?” And I said, “Well… not really what anyone would want to read.” But in truth, I have felt hesitant since being back at school has felt so mild in comparison to the previous four months I had experienced while traveling the world. While talking with friends who are abroad now, I live vicariously through them, occasionally sending off an email or two with a list of my top Paris faves for their weekend getaways to my home away from home. The adjustment of being back after the first two weeks wasn’t bad, and now that I’ve gotten the routine down, I’m perfectly fine. But I’m starting to itch again, ready for my next Crazysash adventure. And not knowing what that will be or when it will come. After missing almost every major family holiday for the past two years, I decided I needed to go home for spring break. I was in Paris for Thanksgiving of 2012, Visalia for 2011, as well as Passover in 2012. While I have loved spending my holidays in different places, there really is no place like home. Passover is a big part of my family tradition and this year was about to be the biggest (and baddest) us Sommer’s had ever seen. With my dad crankin’ out the Mr. Paul’s Matzoh Balls, and family coming from near and far, I just felt I had to be there to be part of the celebration. My mom wouldn’t let me give a speech before our dinner (because she wanted to hog the spotlight), but I was itching to tell everyone how thankful I felt to be sitting around the beautiful “O” shaped table full of all my different families. My Sommer’s – two uncles, my dad, my aunt and her brother; Selby’s – my mom’s cousin; Ashley’s – family from Mercer Island, Seattle, and New York; and the Mercerwood Shoreclub Family – people I have spent every summer with since I was 8 years old. Just being “home” for the first time in so long felt like a Jewish miracle in and of itself! 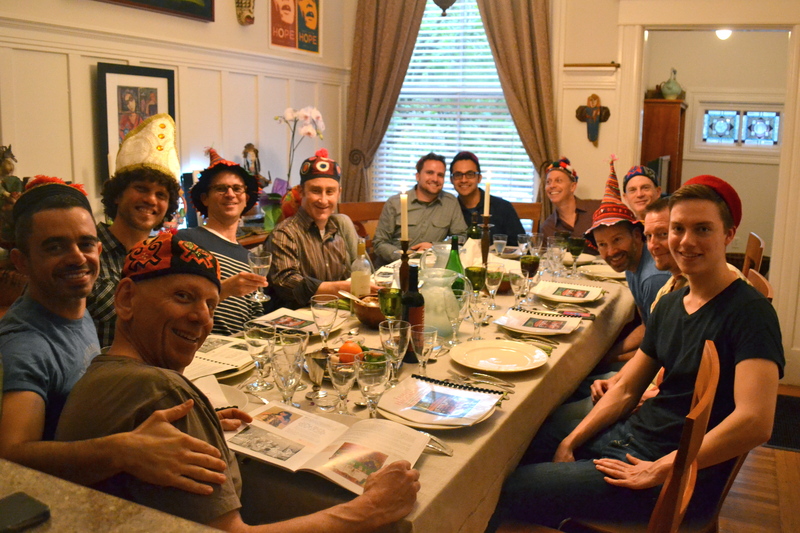 This weekend, I got to participate in a new Passover tradition – a Gayder. Yeah, that’s a gay Seder. It has been an annual tradition for my uncle to host, but lucky for me, I scored an invite this year. 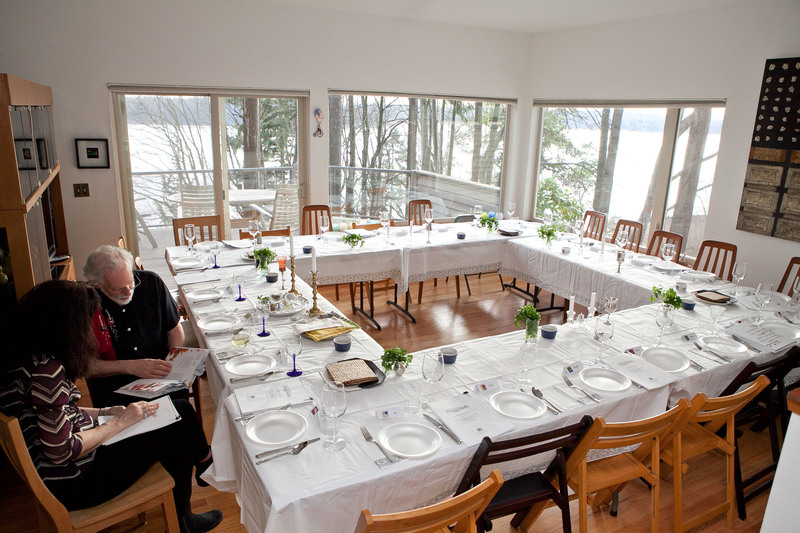 Don’t worry, this Seder (as well as all Sommer Seders) was gentile (and non-gay) friendly. I spent my evening talking to Israelis, a German, a Turk, and I guess some Americans too. When I came back to school today, all my friends were telling me how they want to experience to one of these famous Jeremy hosted dinners, and I sadly had to inform them that table space is limited, plus I guess they have to be cute and gay to make the cut. Just kidding! It has been an emotional four months, but I know it’s a blessing in disguise that I have been able to spend as much time in San Francisco as I have been. While I regret not taking advantage (I mean, hey… it’s free food) long before, my life has been changed in a short amount of time by the people I have met, the love I have seen, and the true acceptance I have felt. I am lucky. One of my favorite things I have done so far since being back has been going to Glide church in San Fran with my uncle and whomever feels like showing up Sunday mornings. My dad has come, my grandmother, my aunt and uncle, cousin, old friends, new friends, foreign friends, and so many more. This “church” is not what it sounds like. Glide stands for unconditional love. As I hear in the sermon every Sunday morning, you can come as you are to Glide. This community of complete acceptance is unlike anything I have experienced before, and the music is just an added bonus. Sharing Glide is like sharing love, without having to do any work. Here’s a link to a video from one of my favorite services I have attended this year. So that’s what I’ve been up to this quarter. It has gone by all too fast, but I’m not looking back anytime soon.